Ben, who famously ran 401 marathons in 401 days two years ago, set himself the challenge to launch a crowdfunding campaign on the British platform Crowdfunder while simultaneously running the London Marathon. Ben said: “So many people supported us with the 401 Challenge, I felt that crowdfunding was the best way to give the wider public a chance to get involved in the 401 Foundation. “Once again, I am truly overwhelmed by the amount of support we have received. Over 300 people donated money or purchased rewards on our campaign in a matter of hours, that is amazing! Ben launched his charity, the 401 Foundation, to carry on the legacy of his 401 challenge which raised awareness of the issues of bullying and mental health and inspired tens of thousands of people to positively change their lives. 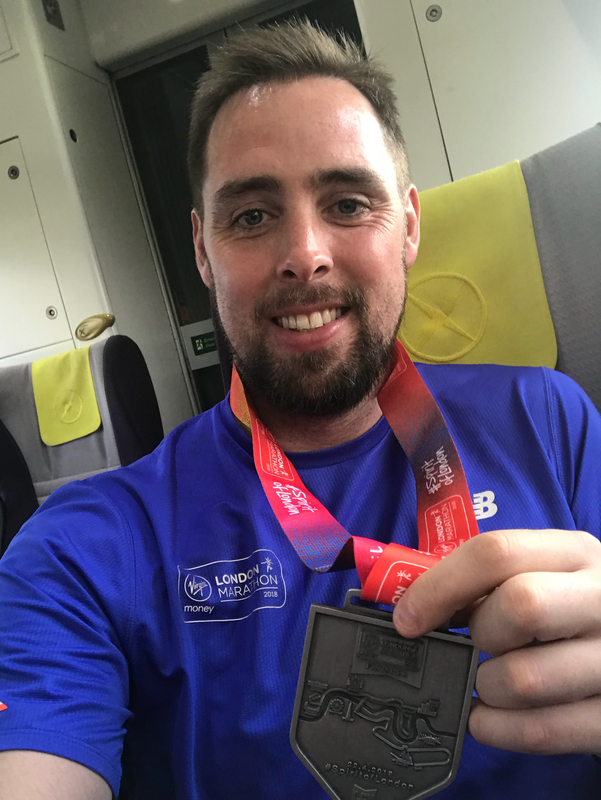 Ben Smith said: “So many people got involved in the 401 Challenge that I just couldn’t leave it there when it ended. The 401 Foundation will provide grants of between £3000 and £5000 to support small grassroots community projects and individual initiatives that build confidence and self-esteem along with tackling mental health and self-development issues.